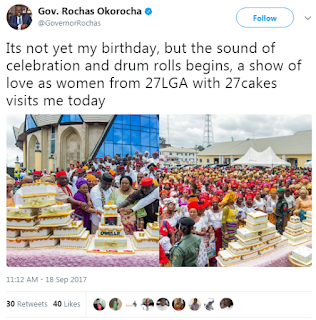 The Imo state Governor Rochas Okorocha who will turn 55 years old on the 22nd of September has already started feeling the love from his people days before the big day. 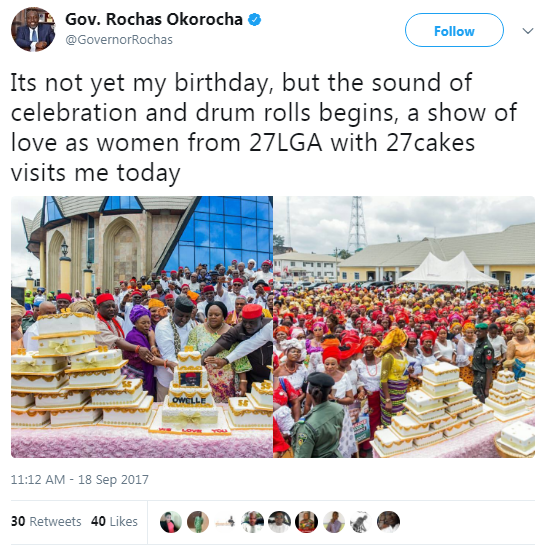 He was surprised with 27 two-way staircase cakes from women in all the 27 local government areas of his state. 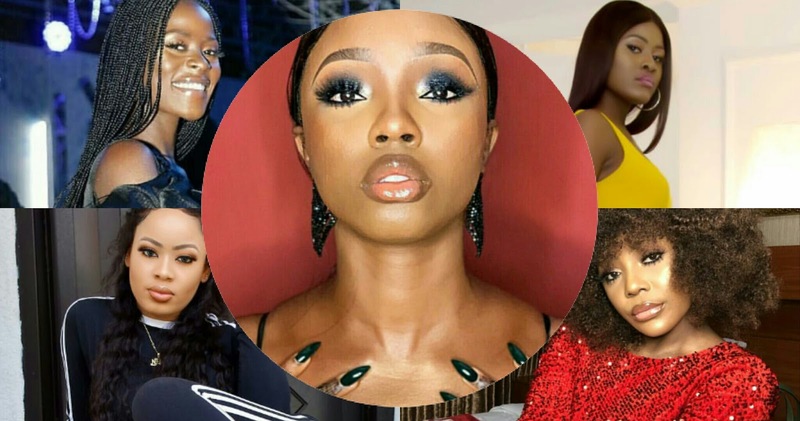 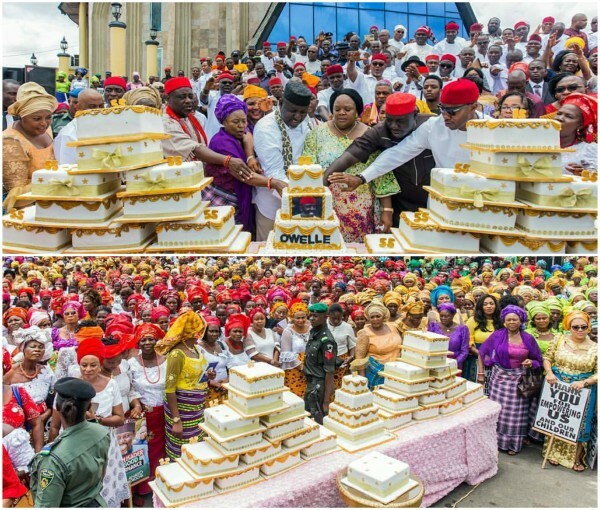 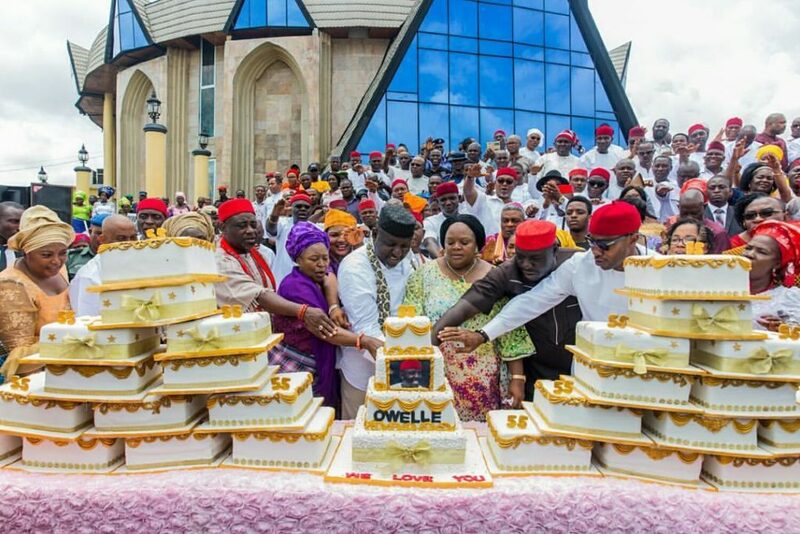 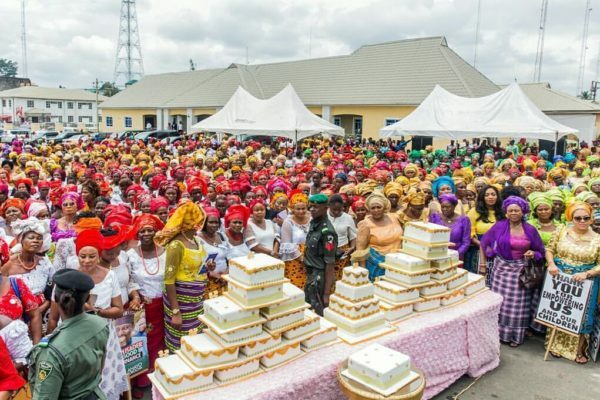 Some of the cakes had the picture of the governor with an inscription of his other name, “Owelle’, one had the message: “We love you”, clearly spelt out on one of the cakes, and then his would-be age of 55 littered around the other ones.